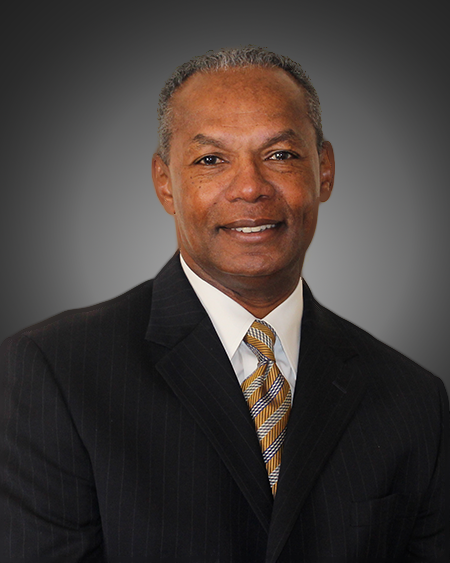 Mr. P. Lamont Ewell, has over 35 years of experience in the public sector and possesses a unique blend of expertise. He has recently joined the firm of Ralph Andersen & Associates to focus on key executive level positions for local government. His practice will be focused primarily in California although the expanse of his recruitment network will be national in scope. Highly regarded for his expertise in restructuring operational delivery systems, strengthening communities’ economic base, and stabilizing city finances, he successfully managed the cities of Santa Monica and San Diego, California; and Durham, North Carolina. Additionally, he is a former Fire Chief for a large urban city, and past President of the International Association of Fire Chiefs (IAFC). On three separate occasions, Mr. Ewell has been called upon to serve as Interim City Manager for the California cities of Culver City, Oakland, and Compton. He succeeded in assisting each of these cities in navigating through challenging financial times. During his accomplished career, he has successfully recruited and hired high quality executive leaders. Each appointed individual was well received by the organization and community. He attributes his successes in making the right appointments by first ensuring that each of the selected candidates possessed very specific characteristics, traits, and abilities. Mr. Ewell served on the Board of Directors for the North Carolina School of Math and Science and as a guest lecturer on public policy at UNC, UCLA, Cal State Northridge, and Santa Monica College. He also served as a fellow in the Public Policy Department at UCLA. He has a Bachelor of Science degree in Business Administration and later pursued an Executive Master’s degree in General Administration from the University of Maryland.